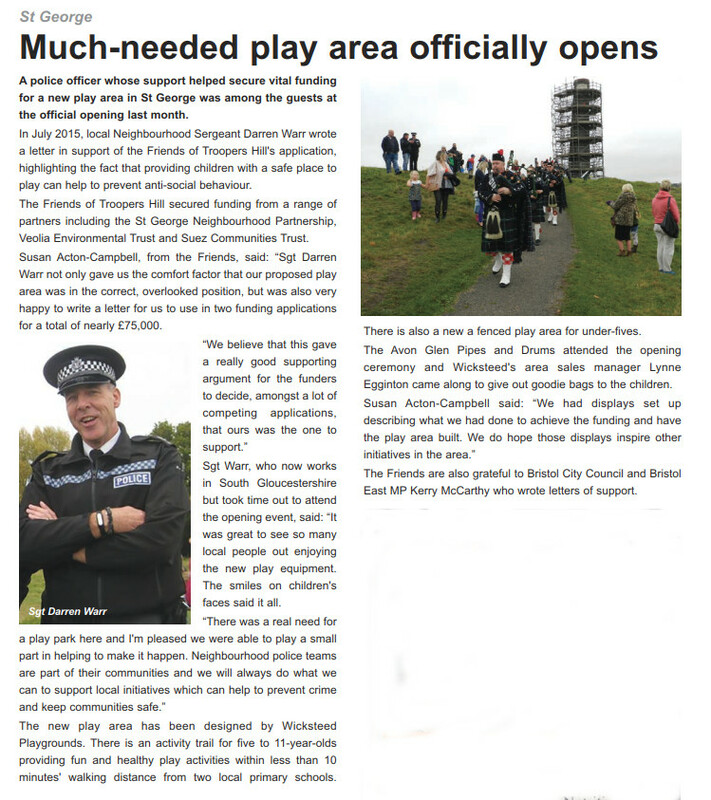 The official celebration event for the new play area on Troopers Hill Field was held on Troopers Hill Field on Saturday 22nd October, including a procession from Troopers Hill Chimney led by Avon Glen Pipes and Drums. Interview with Chair of Friends of Troopers Hill, Susan Acton-Campbell on Radio Bristol on the morning of the celebration. Click on the photos below to jump to that image in the slide show above.